I think I have missed something in setting up my payment methods. 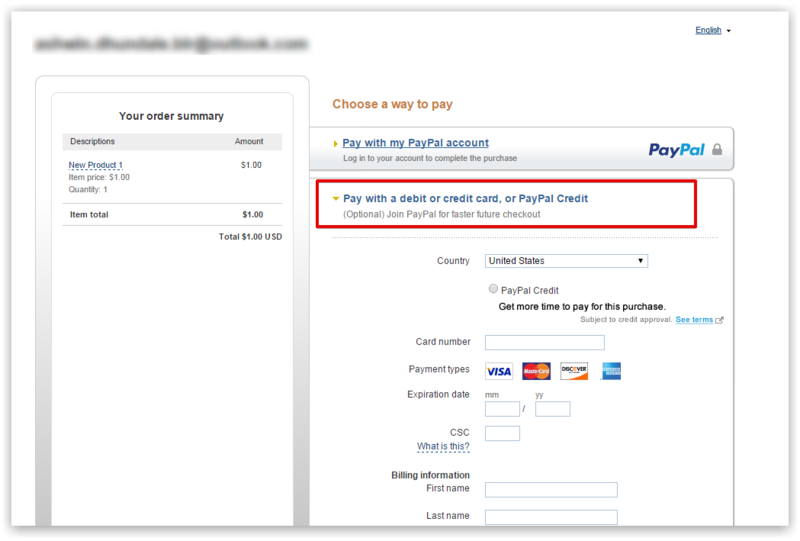 I seem to remember seeing an option to pay by credit card through PayPal if the user does not have or want to have a PayPal account. Can you please tell me if this is a possible payment method. 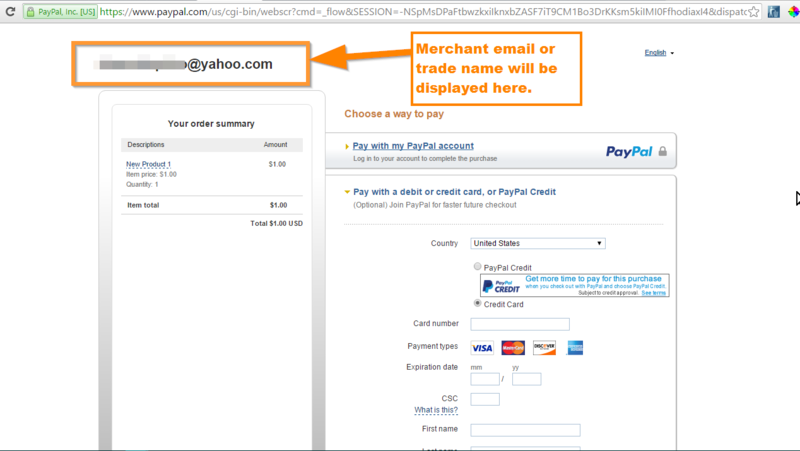 I read a previous post re payment methods but it does not include this scenario it was "How to set up paypal along with other payment options" at http://www.jotform.com/help/120-How-to-set-up-paypal-along-with-other-payment-options . You need to have the "Guest Checkout" option which will allow users to make payment through credit card if they do not have the PayPal account. That's fine, but it still seems to be looking at my personal account, do I have to login to the "clients" PayPal account to force it to see the link between the "clients account" and the "Booking Form" that will pay the money to the "Client"
I'm not quite sure if I understand your concern correctly. 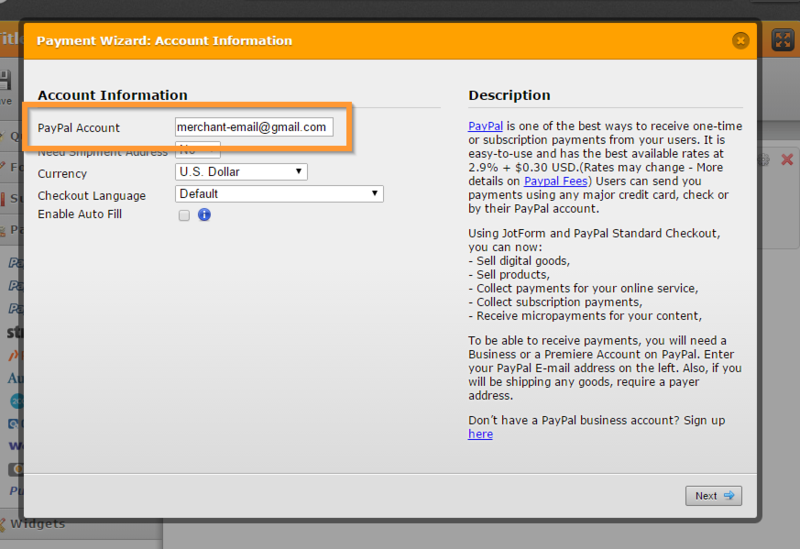 In the payment gateway, the merchant email or the trade name will be displayed. The buyer then needs to login OR pay as a guest account (no need to register). Do let us know if I misunderstood your concern. No I think you have got the general idea. We have set up all the options etc that you mention but the option does not appear when you click submit only the option to pay by by PayPal. Sadly this is a two man job the treasurer and myself, there are quite a few strangely worded options in the PayPay setup for a business he and I went through it and we were convinced that all was done correctly. So the next step is to have word with PayPal and see if they can identify the incorrect setting. Thanks for your help it much appreciated. I'm glad to hear that it helped. You can send us a screenshot of what you are seeing and list down the problems or issues you have, so that we can better assess your situation, please also do share us the link to the form you are using, I see you have a couple of forms in your account. Let us know if you need more help on this. I see you have a couple of forms in your account...........Yes just a few, must count them one day and then clear the old ones out. You can send us a screenshot of what you are seeing..........Thanks, the problem has been resolved by PayPal. You have competition in the "Best Support" Awards on the web, they were great, all done on the phone and resolved in 2-3 hours and that involved two of us at our end. Thanks for all your assistance, as usual, it was great !! !